Paul Dickov and Louis Tomlinson. (Photo: Doncaster Rovers FC). Paul Dickov is confident when he touches down from Portugal that will be his cue for transfer lift-off. John Ryan and Louis Tomlinson’s takeover is scheduled to be formally completed on Friday, although the club are still awaiting Football League approval. Dickov and his squad are due back from their Algarve-based training camp this weekend. And the Scot is hopeful that, upon his return, things will quickly fall into place on the transfer front - with several deals being lined up in anticipation of the takeover green light. “Everything is still subject to the takeover going through on July 18 but everything’s looking positive,” said Dickov. “There’s a lot of discussions going on. “We’re hopeful that the players we’re talking to, once the takeover gets completed on the 18th, will then put pen to paper. “We’ve had a look at some trialists and there’s some other players we’re actively talking to. “But nothing can be done until after the 18th. Goalkeepers Ben Williams and Jamie Ashdown, defenders Jon Otsemobor, Peter Clarke and Cedric Evina, midfielder James Bailey, winger Elliott Kebbie and striker Nathan Tyson have all appeared as trialists for Rovers during their opening pre-season fixtures, which have seen them beat Bradford Park Avenue but lose to Lincoln City and Huddersfield Town. As the Free Press reported last week, James Coppinger has agreed terms on an extended deal. Dickov has also this week confirmed his interest in signing free agent Ishmael Miller and Tottenham striker Jonathan Obika. Contracts were exchanged on the deal that will see Ryan and Tomlinson become the club’s new co-chairmen last month - with the takeover expected to be formally completed on July 18. Rovers remain hopeful that will be the case, although the takeover is now understood to be subject to Football League approval, a process which may drag on into next week. One Direction star Tomlinson took time out from his hectic schedule to watch Doncaster play Huddersfield in the Algarve on Tuesday, posing for pictures with Dickov. But while pre-season, thus far, has focused on fitness, Dickov will be anxious to step up preparations, and player recruitment in particular, upon his return from Portugal. 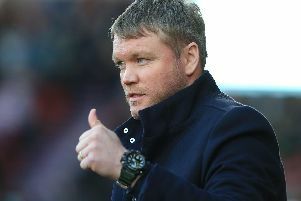 Rovers are hopeful that Richie Wellens, Paul Keegan, Alex Peterson, Liam Wakefield and Harry Middleton will follow Coppinger’s lead and agree new terms, although there is increasing doubt over the futures of Ross Turnbull and Paul Quinn. Free agent Turnbull continues to weigh up his options, while Quinn failed to report back for pre-season training despite still being under contract at Doncaster for another season. Rovers lost 3-1 to Huddersfield. Their next friendly is at Grimsby on Tuesday night (7pm).